Today’s game is Balloon in the Bucket! Now that we are officially entering summer, it’s time to start busting out some great games that will help you and your students cool down. Before you get started, create two teams (I don’t recommend more for this game because you will start to get participants banging into each other if it gets too crowded) and have them line up in a single file line behind a designated point. The first person from each line will be given a 5-gallon bucket, in which they must do their best job to try and catch the water balloon in their bucket. Give each pairing a few chances or until one person is successful before moving to the next person in each line. If they are successful, simply have them turn the bucket upside down and pour the water over their head. Every time they do, their team will receive a point. Keep in mind that it is possible, though unlikely, for each person to get water in their bucket, so you may even award a point to each team if this is the case. The team at the end of your time limit, or when the balloons run out, wins! 1. If you don’t have a sling-shot, simply select a couple of people who can throw the balloons high and far. This will satisfy the need… though having a sling-shot is just plain fun! 2. Have one member from each team throw water balloons to their teammates from a distance of no less than 100 ft. Each participant in the line gets only one chance to catch the balloon in this setup. 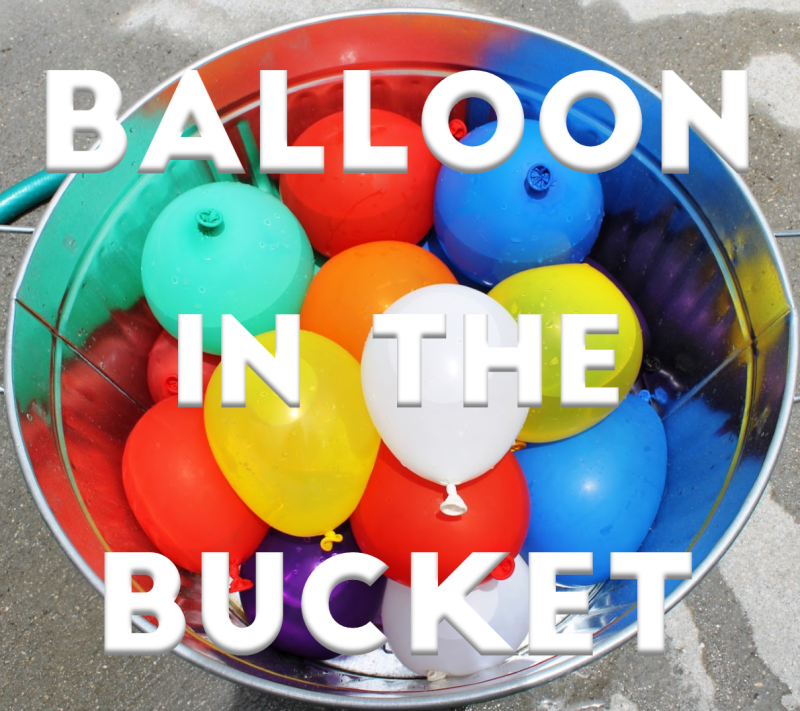 Tally the points by having each team go through their bucket of balloons or by time, it’s up to you! 1. When we play at camp, we rotate boy-girl to pair them up. You don’t have to, but it makes it does eliminate a giant brut going up against a tiny girl. Then again, how awesome is it to see a tiny girl beat a giant brut! 2. Mark clear boundaries for teams to stand, as well as a line in which contestants can not cross. This helps those launching the balloons and keeps the game flowing because people aren’t running a mile back to the starting line. 3. If you have left over balloons in the end, you can have a good old-fashioned water balloon fight. Remember not to force anyone to play and be careful to make sure no one has a phone on them! It usually turns into a free-for-all at some point, but it’s fun nonetheless.